For those college football fans out there you know summer is nearing its end and the college football season is almost here. 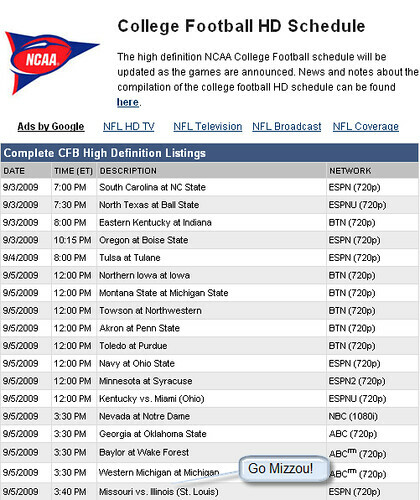 I ran across a few college football guides you might want to check out including the HDTV guide and the overall schedule. Note that this site has similar guides for other sports as well. 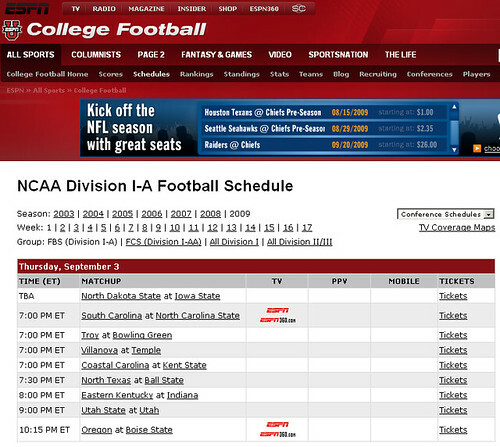 By the way, if you’re a sports fan & a comcast subscriber and have been waiting for the NFL Network, you’re in luck. Mari at ZatzNotFunny! is reporting that Comcast has added the NFL Network.